While securities regulators in South Carolina say a murky business known as PPE-Life recently has been holding recruitment meetings in the state, web records suggest that online recruitment efforts actually got under way months ago in anticipation of the company’s launch. Efforts to promote PPE appear to have begun in January, at least three months prior to PPE’s corporate registration being recorded in Florida and despite the fact virtually nothing was known about the firm’s business practices and business mix. At the same time, some promoters of PPE-Life appear to be building downlines by using a video that features narration about celebrated investment strategist Warren Buffet. The video is potentially embarrassing — if not problematic — for PPE because the company is facing a challenge in South Carolina amid allegations it is selling unregistered securities. Because Buffet — who is not believed to have any tie to PPE — is one of the foremost investment experts in the world, prospects and prosecutors alike reasonably could ask why his name is referenced in promotions for PPE if the company is not in the securities business. They also could ask why his name is referenced at all if Buffet has no tie to PPE. On Tuesday, the office of South Carolina Attorney General Henry McMaster described PPE-Life as a Florida company reluctant to provide details about its business, including the name of an unspecified “international bank” with which it purportedly is affiliated. McMaster ordered the company to cease and desist from selling securities and collecting money in the state. Advertisements and web records dating back to January, however, described PPE-Life as the “marketing arm” of an entity known as “PPE Bank International.” No such entity appears to have been registered in Florida, although a corporation named “PPE-Life Inc.” was formally registered on April 29, about three months after recruitment ads referencing both PPE-Life and PPE Bank International began to appear online. “Barter did not identify any bank and provided no evidence any such bank existed, but instead asserted, ‘I am the bank,'” according to South Carolina securities regulators. A domain name — PPELife.com — also was registered in January. The domain redirects to a website that displays a video. A message that reads “PPE Marketing welcomes you!” appears in the upper-right corner of the website, and the video includes images and commentary about NBA legend Michael Jordan and Microsoft Chairman Bill Gates, along with an image of a bull and a bear and narration about Berkshire Hathaway Chairman Warren Buffet. “Warren Buffet didn’t invent the stock market,” the video’s narrator intoned. “He changed the game of investing.” Gates was described as having changed the game of technology, and Jordan was described as having changed the game of basketball. It is not believed that Buffet, Gates and Jordan have any tie to PPE. It is common for multilevel-marketing (MLM) companies and affiliates to use images of celebrities and captains of industry in web promotions — even if the individuals depicted in photographs and mentioned by narrators have no connection to the business opportunities being advertised. The video appears to be a recruitment video to help participants build downlines in PPE and other programs. 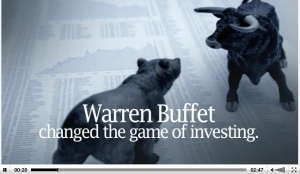 Although PPE’s name is not mentioned in the video, it is possible that the references to Buffet and Gates could put PPE in the position of explaining why promoters are spotligting the names of individuals associated with publicly traded companies if PPE is not in the business of selling securities. Meanwhile, the images of bulls and bears are inexorably tied to investment opportunities. The ad further claimed that PPE had chosen a service-provider for a recruitment feeder system. The final words of the ad appear to have been cut off. Web records suggest that PPE affiliates are using at least two different feeder companies to build downlines in PPE. The presence of the feeder system suggests PPE’s recruitment efforts may be more widespread than initially believed, crossing both domestic and international borders. McMaster’s office said Tuesday that people who attended a May 20 PPE sit-down meeting in South Carolina were asked to pay $599 as an â€œinitial membership feeâ€ and a $50 per month â€œmaintenance feeâ€ thereafter. Attendees further were advised that returns of â€œup to $440,000 per yearâ€ could be earned through PPE. People who signed up were told they could earn â€œ1.5% of loan payments on loans made to any members who subsequently join[ed] PPEâ€ and also would receive a â€œfreeâ€ credit card with a $1,000 limit, authorities said. Tags: John Barter, PPE Bank International, PPE Marketing, PPE-Life, PPE-Life Inc., PPELife, South Carolina securities, Sumter S.C.
Interestingly enough, nothing on ANY tech equipment under the “products” tab. It’s difficult to find any product at all under what they are offering. Actually I did not miss the website; I have not included a link to it or written about it out of concern there is a potential security hole at the site. That’s why I deleted the URL you passed along above. Because I don’t know what kind of information PPE stores on its servers, I was concerned that publishing the URL could expose private information. I’m not sure if that’s the case, but did not want to take any chances. How do I get my money back? ?